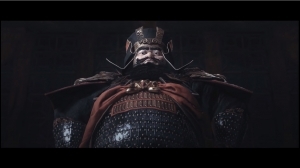 The first footage for Total War: Three Kingdoms “Records Mode” was revealed, which shows the historically grounded side of the strategy title from Creative Assembly. 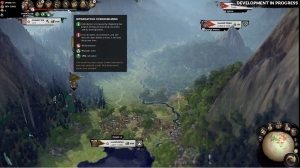 This mode builds on the legacy of the previous historic titles in the Total War franchise and draws from the 3rd-century records of actual events of the Three Kingdoms era. In this footage, they focus on the warlord Gongsun Zan, who must use tactical precision to defeat Ma Chao, loyal heir of Ma Teng. Records are the counterpart to Romance mode, the game’s legendary retelling of the Three Kingdoms history, complete with larger-than-life warlords, each boasting powerful abilities. 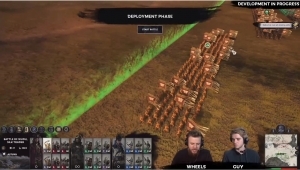 The campaign experience is similar between the two modes, but the differences have a significant impact on the real-time battles. In Romance, for example, your general is a force to be reckoned with – some even able to shout opposing troops to death. In Records, these warlords are regular people, much more vulnerable to grave wounds or untimely deaths. Victory will depend on your shrewd tactical orders; one mistake could cost you the loyalty of your faction. They also noted that in the current playtests, Records battles can last up to 30% longer, and feels more like a tactical game of chess, rather than an all-out brawl.